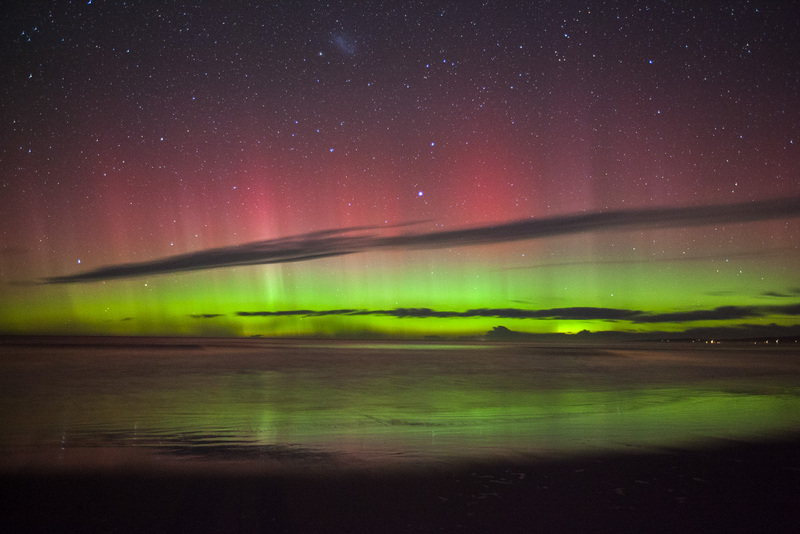 The Aurora Australis (otherwise known as the Southern Lights) is a rare beauty that only shows its splendor to those who seek it. Intrigued? I know I was! 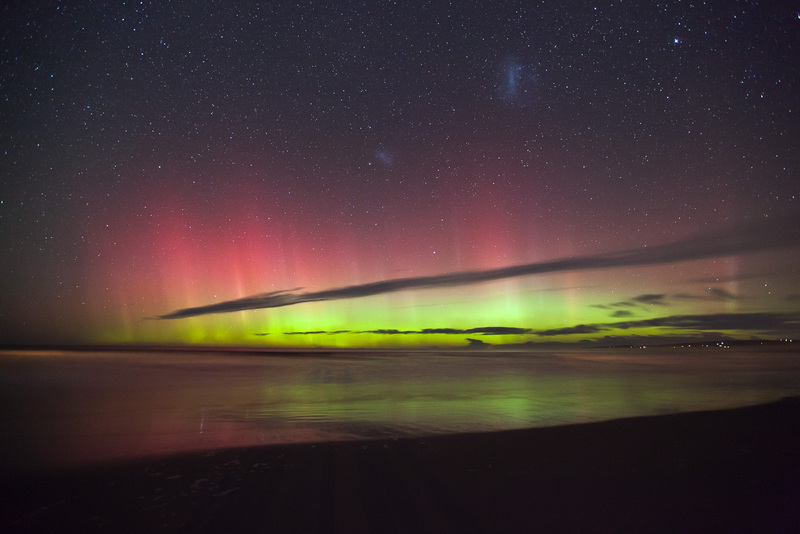 One of the biggest bucket list items I had while living in New Zealand was to see the Aurora Australis, especially since I grew up seeing the Borealis…there’s just something about being able to witness such a gorgeous phenomenon in both hemispheres! Or maybe I’m just overly hyping that up? 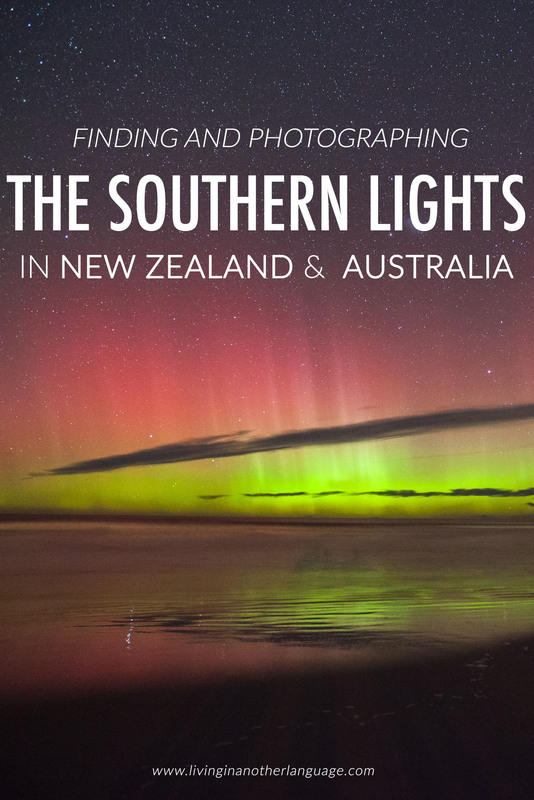 Anyway, I wanted to get down to the nitty gritty with you guys today and explain all you need to know about finding and photographing the Aurora Australis. It’s simply not as easy as waiting until a friend calls you up on the phone and then walking out your door(or maybe you’ll be the lucky one that WILL have this happen to you). Finding the Aurora means you’ll need to be waiting for it, watching for it, and chasing after it. You have to have the right equipment, technology and support on your side to even have a chance to see it. 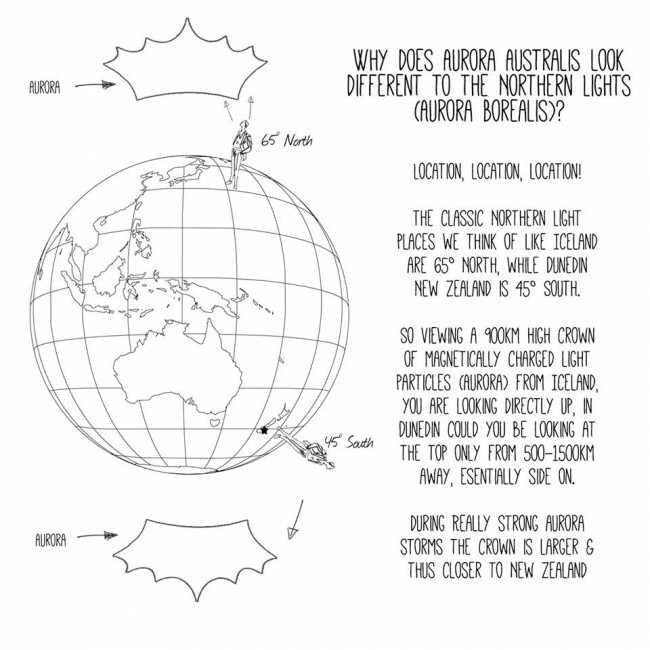 The Aurora Australis is subtle — It’s not loud, it’s not in your face, it’s not bold. It dances quietly in the dark, and if you don’t know where to look, you’ll never find it. 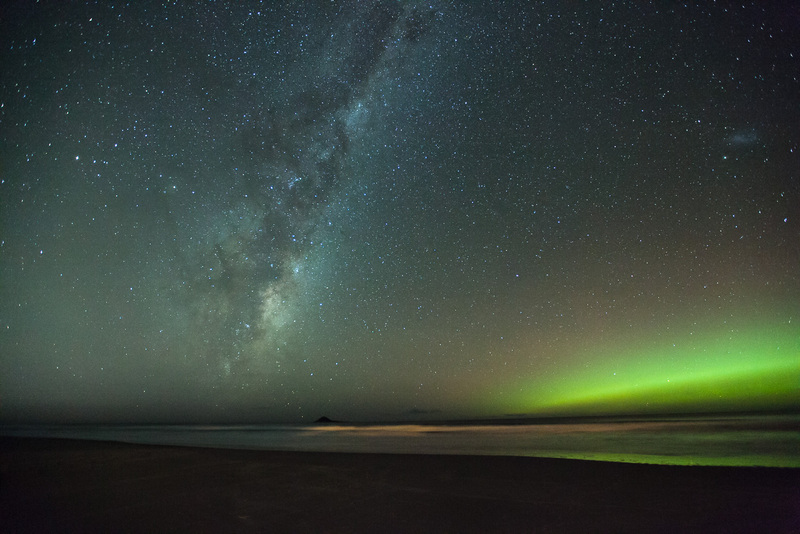 I actually went 10 months in New Zealand without seeing a single streak of Aurora, and we lived in Dunedin, which is located close to the bottom of the South Island, FACING the south pole. I knew we were in a prime spot living on the beach away from the city. So what was my problem? I didn’t know a single thing about finding the Aurora. I’m here today to tell you all my secrets in hopes that you’ll have more opportunities to see it during your New Zealand (and Australia…yes this applies to Australia too) than I did! After discovering all the tips and tricks of finding lady Aurora, I was able to see it 5-6 times in a matter of two months. Thanks to Paul Le Comte for this illustration! 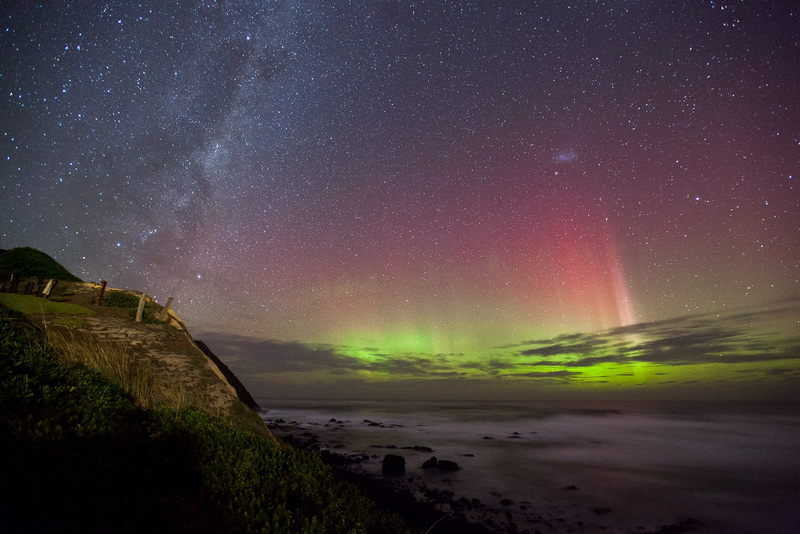 So to get a good glimpse of the Aurora Australis, you’ll have greater chances the further south you travel. 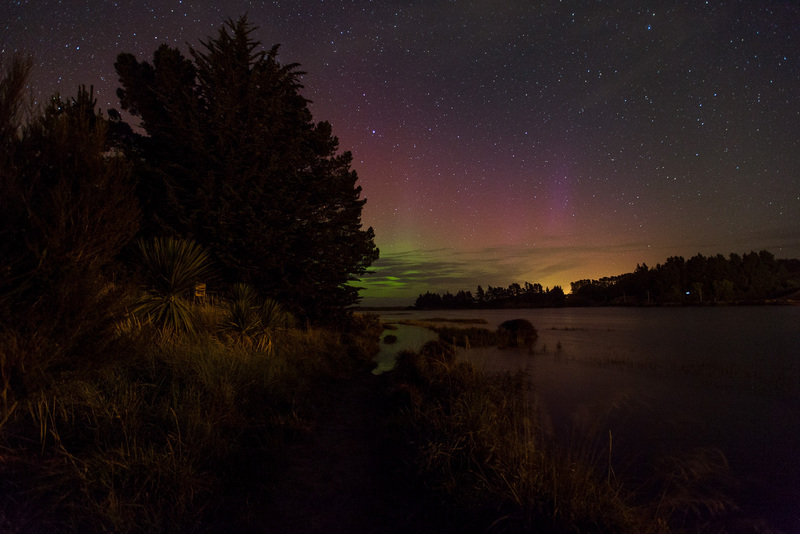 Some ideal Aurora viewing locations in New Zealand (South Island) are: Invercargill, Lake Tekapo, Dunedin, The Catlins, and Stewart Island (New Zealand’s southernmost island). 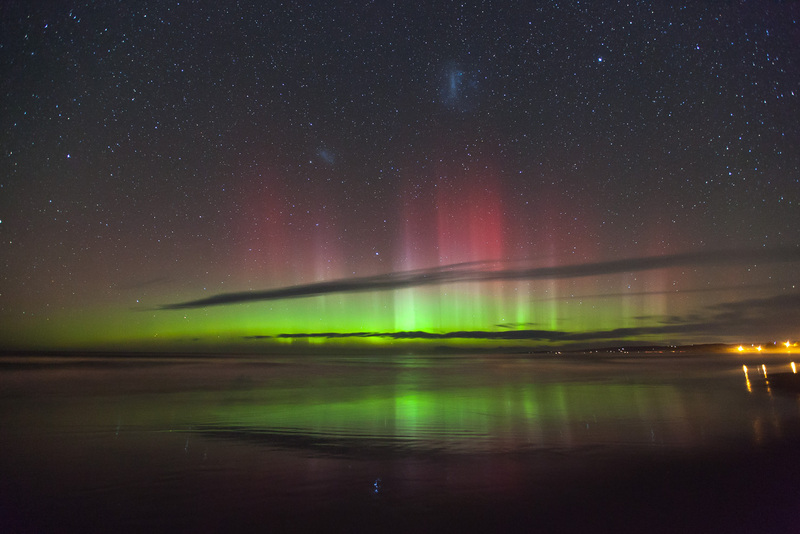 They are also sometimes visible in Wanaka and Queenstown! If you have the opportunity to distance yourself from any sort of artificial light, the better off you are as well. 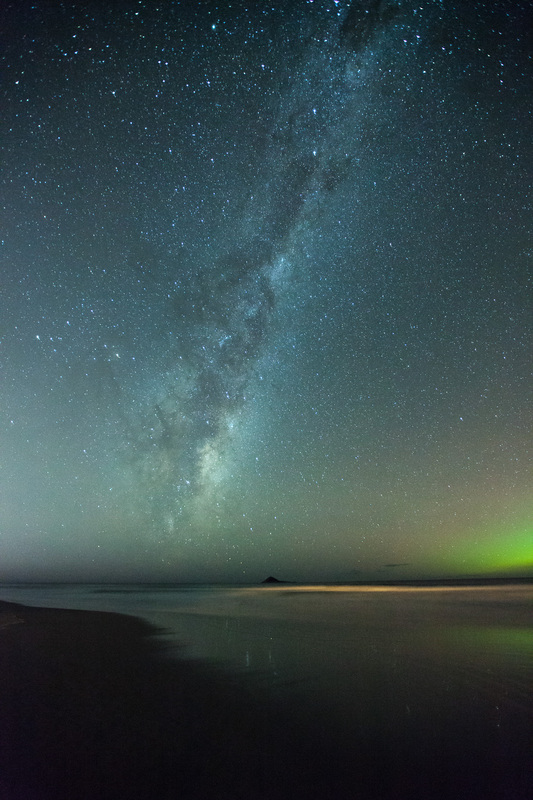 If you’re staying in town, the light pollution will most likely be so great all you’ll get in your photographs is a bright orange/yellow haze in the sky instead of a crystal clear Aurora viewing and a bounty of stars. One of the best things I ever did to increase my chances of seeing the Aurora was joining the Aurora Australis – CURRENT ALERTS Facebook page. This page is for alerts and notifications of Aurora ONLY, and social/sharing posts are not allowed. I loved this group because I could set my phone to notify me if anyone posted in the group, and when someone did it’s because there was definitely Aurora outside. You can also subscribe to text and email alerts through the Aurora Alerts Service website and they’ll send you customized alerts for your area of the world. It just costs a little $$ per month, but if you’re wanting to be a serious aurora hunter, this may be the ticket for you. 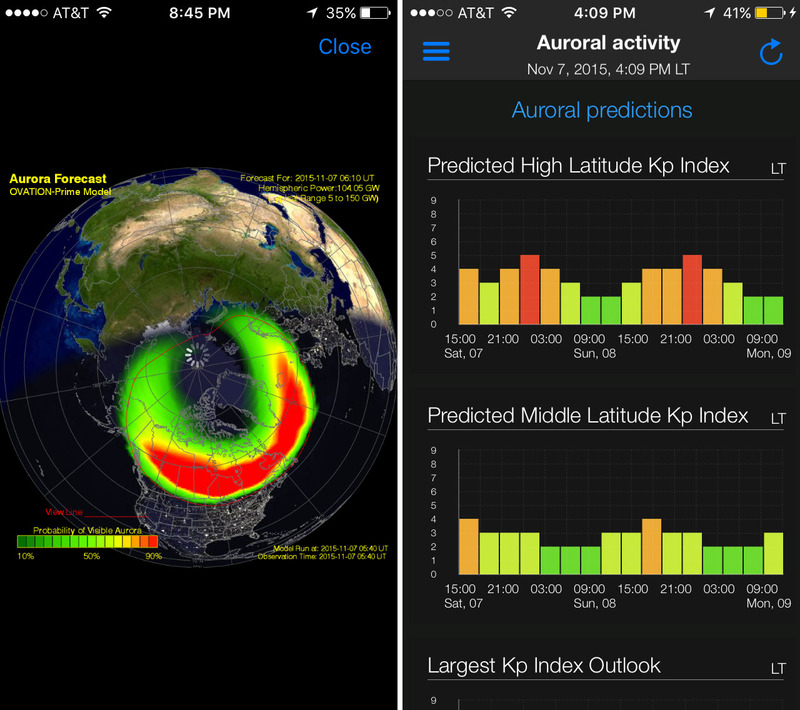 I downloaded the Aurora Forecast app for my iPhone (also available on Android), and that tells me what the forecast looks like for the next few days, as well as shows an ovation map of the globe so I can see if the Aurora is visible in my area (p.s. I realize the ovation circle below is for the northern hemisphere…but I promise the southern looks the same! The app uses your current location…and right now that’s the northern hemisphere for me). I use a Canon EOS 5D Mark II with a 16-35mm f/2.8 L II USM Zoom Lens to shoot my pictures, but honestly all you need is a camera that has a good manual mode where you can set the shutter speed, focus, aperture, and ISO. If you discover you love photographing the Aurora, investing in a good wide-angle lens will really help capture the width of the Aurora as well as the stars in the sky. It’s also super important to invest in a good tripod, one that’s not going to shake during those long exposures, and one that moves around easily without you having to physically take off the camera. I have one very similar to this . A remote trigger is also nice but not a necessity. I have one, but rarely use while shooting Aurora…mainly because mine is so crappy and doesn’t work half the time (should probably get another). 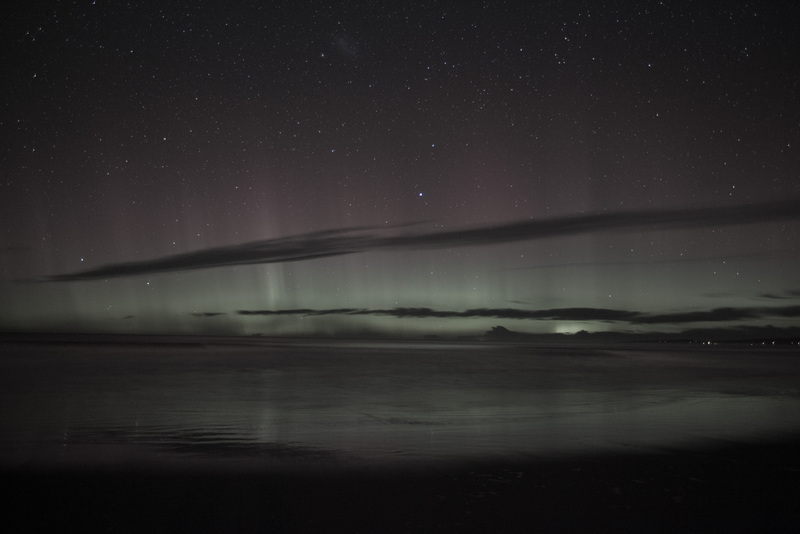 I need you to know that the Aurora Australis does not look the same to the naked eye as it does in the pictures you will snap. A camera sensor is a million times more sensitive to light, and when you set an extended exposure and leave the shutter open for 10 seconds, the camera is literally bringing in light for 10 seconds making the photographs a million times brighter and colors more vibrant than what you see in real life. Here are some photo examples. I desaturated the crap out of the first photo so you know what to look for when you step outside and try to find aurora for yourselves. Some people are more sensitive to color in lights (has something to do with the cones in our eyes) — I could see pinks and greens a lot easier than Derik could, so what looks like pink to me may just look subtle white light to him. The second photo is literally right off my camera…I usually edit out the vignetting from the corners, but I wanted to literally show you exactly what my camera picked up. Ninety percent of the time, there might be a forecast for an incredible Aurora storm, but then clouds roll in and you can’t see a single thing. Patience is key. Other times, it might only be a slight storm and you head out just for kicks, and end up get some of the most killer Aurora shots ever!